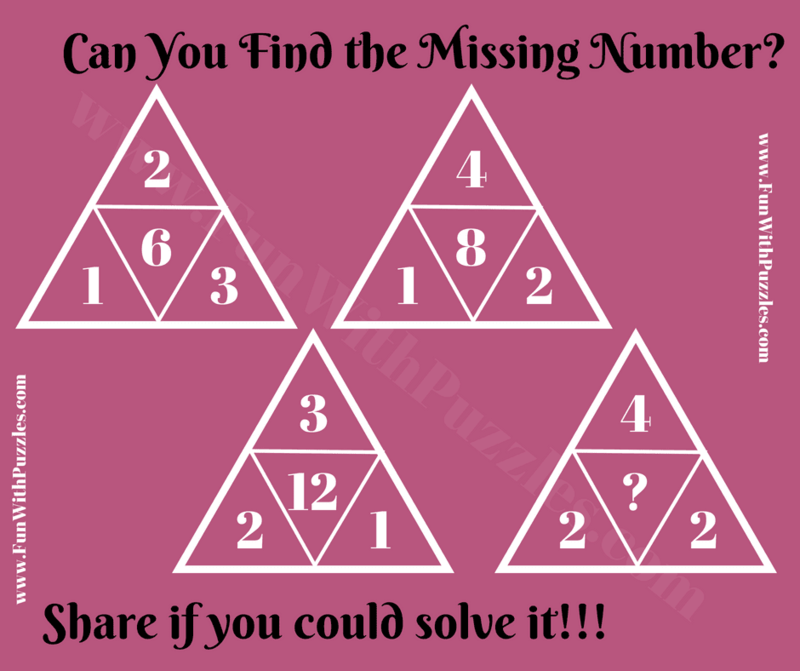 This is very interesting Fun Math Triangle Puzzle for adults. This is a tough Math Puzzle in which there are four numbers in given four triangles. These numbers relates to each other by some pattern or Mathematical equation. Can you find this hidden pattern and find the missing number which will replace the question mark? 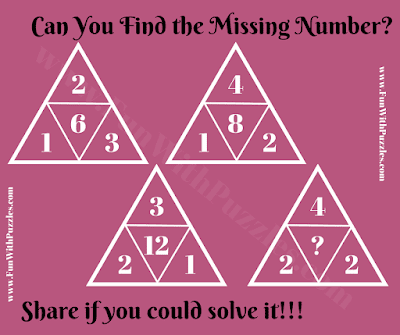 Answer of this "Fun Math Triangle Puzzle for Adults", can be viewed by clicking on button. Please do give your best try before looking at the answer. Lets mark all the corner numbers as A, B, C where A is left down corner and B is top corner and so on.